We might be a little biased but our favorite race of the year, The Philly 10K, is this weekend! 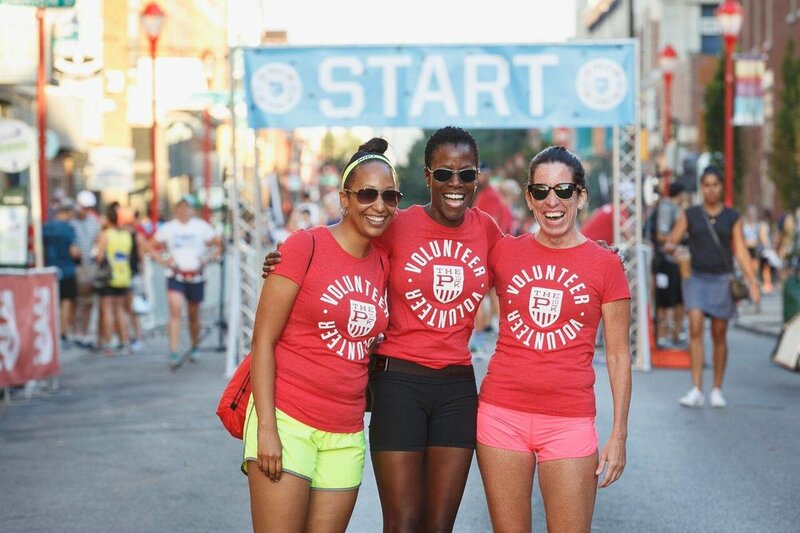 It's the 5th year and we are so excited to celebrate with the amazing Philadelphia running community. Before we get to all the race day information, in order to run the race on Sunday you need to pick up your bib on Friday or Saturday at the Diadora Kickoff Party at Philadelphia Brewing Company. There is no race day bib pick-up. Seriously, none. You can have someone else pick it up for you though if you can't make it to the party. They just need your original confirmation email or a picture of your ID. The kickoff party is open to everyone, not just runners, and it's at a brewery. It's also the only place you can find and buy official race merch. Cheers! When is The Philly 10K? The race is on Sunday, August 26th and starts at 7:30AM. Where is The Philly 10K? The race starts at 8th & South Streets and finishes a few blocks away between 5th & 6th on South Street. The course map can be found here. SEPTA - Broad Street Line Subway: Get off at the Lombard-South stop and walk east on South Street for .4-miles to the starting area. PATCO: Get off at the 9th-10th St & Locust St stop and walk south on S. 10th Street for .3-miles to the starting area. But really, where can I park? Parking is very limited and virtually impossible near the Start and Finish areas. 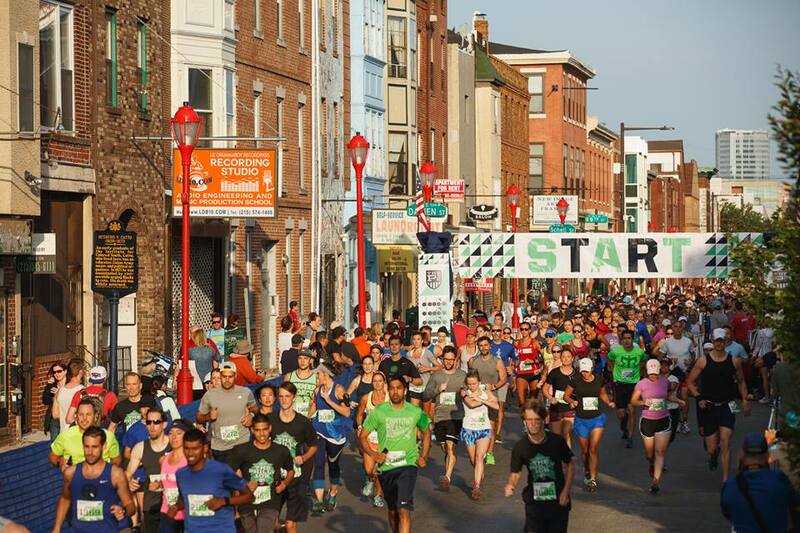 Due to the road closures and the extended no parking areas, race organizers suggest looking for street parking on South Broad Street and areas outside the perimeter of the course. There are no guaranteed or designated parking areas for The Philly 10K. If you decide to drive, make sure you give yourself plenty of time to find parking and walk over to the race. You sure can! The Philly 10K will be offering bag check on race morning on 4th St. between South & Bainbridge Streets. Bag check opens at 6AM and closes at 7AM. Runners will receive a clear plastic bag at bib pick-up and must use this bag for checking items on race morning. All items must fit completely in the bag or it will not be accepted at bag check. There are 3 water stations on the course this year plus water and a cooling station at the finish. You can see the locations of the water stops on the course map here. I prefer to carry my own water, is that ok? Runners are allowed to carry small hydration packs and/or spibelts. Where should my friends and family go to cheer me on? Anywhere! The course is a loop but we'd recommend sending your cheerleaders somewhere close to the start and finish area so that they can easily meet up with you at the post race party. Speaking of the post-race party, what's waiting for runners at the finish line? After you cross the finish line and collect your swag, it's time to celebrate! Cold beer and custard are waiting for you at the Post-Race Party. Skip the line at ID check to get in and pick up your post-race party wristband before the race starts. Wristbands will be available next to the bag check tent on 4th Street between South & Bainbridge. Don't forget - you must show your ID to receive a wristband. Don't forget to pick up all the gear you need for race day in our shops before Sunday. Our staff will be out there cheering for you! Good luck and have fun to everyone running The Philly 10K this year! Older Post1 Week to The Philly 10K!